Ricci is a graduate from the University of Victoria with a Bachelor of Arts Degree. In addition, he also has an MBA Degree from the University of Hertfordshire in the UK. 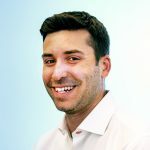 After completing his undergraduate and post graduate education, Ricci joined Plotkin Health in Vancouver in 2005, and has held various positions with the company every since. 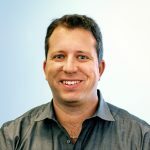 Ricci is currently the EVP of Innovation, and is responsible for the continuous evolution of Plotkin Health processes and IT solutions. In addition to his passion for Innovation, Ricci is well versed with the various components of Medical Cost Management and Claims Settlement, including reimbursement benchmarking, network building, contract negotiations, policy benefit adjudication, and claims arbitration. Ricci lives in Vancouver BC with his wife and three children. He enjoys playing ice hockey, traveling, and is an avid snowboarder.